JOIN THE JEN’s INK. TEAM!!! Previous postA 90TH OH SO ECLECTIC Z-FOLD! Hi, I'm Jenny Hayward, an Independent Stampin' Up! Demonstrator in the beautiful Illawarra, NSW Australia. This blog is to share my creations with you. I hope I inspire you in some way so please stop by again soon. Click on the Page Tabs above to find out more about my classes, Project Tutorials or to join my JEN's INK Team. If you are in Australia and don't have a current Demonstrator I would love to serve you. Please contact me to help you with all your Stampin' Up! products. So much more than a discount when you join Stampin' Up! Find out more -> HERE. GINGHAM TEA BAG TREAT HOLDER! WEDNESDAY'S WOW! #40 - DOUBLE EMBOSSING YOUR CARD! A NEW DESIGNER TOTE BAG!! Looking for a Gift Box, Stamp set idea or a technique? - The Free Tutorials Tab at the top of the page. 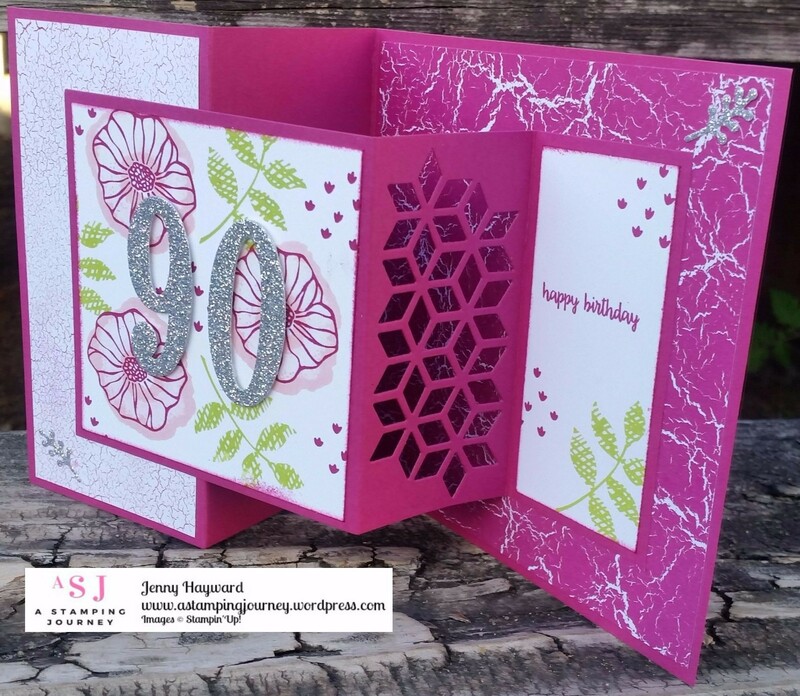 The content in this blog is the sole responsibility of Jenny Hayward as an Independent Stampin' Up! demonstrator. The use of and content of the classes, services, or products offered herein is not endorsed by Stampin Up!® All content, including designs, concepts, text, and photographs are COPYRIGHT © Jenny Hayward.